Look, its not a comic book! 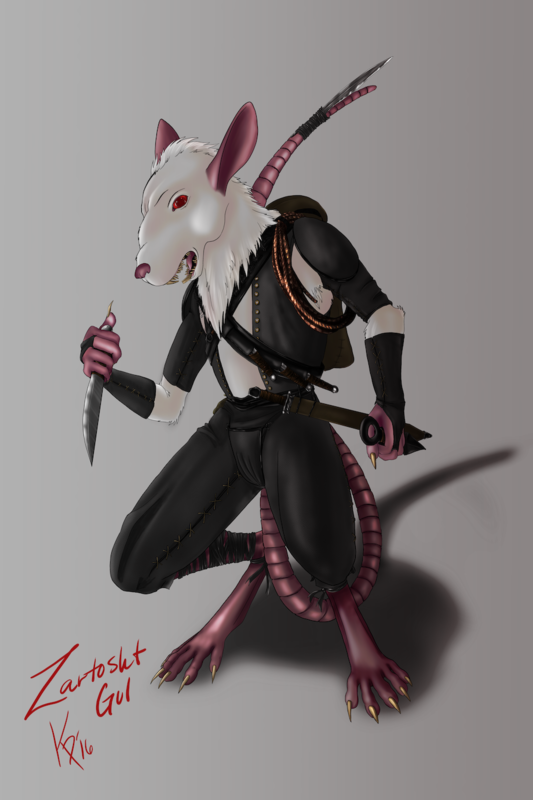 Zartosht Gul (Zar to friends, or enemies) is a rogue ratfolk character for the game Pathfinder. He's tiny, just over 4' tall, and armed to the teeth. Literally, so many weapons. Bow, Hand crossbow, Knives, Kunai, Darts, Blow gun, Tail blade, bullets, sling, short sword... he's probably wearing his weight in weapons. He's... dangerous, and also likely to go off the handle and start causing trouble.